Going against the grain comes naturally for Devil Driver. The globally-renowned California Groove Machine have been a constant and effective force in the heavy metal world for the best part of two decades now. 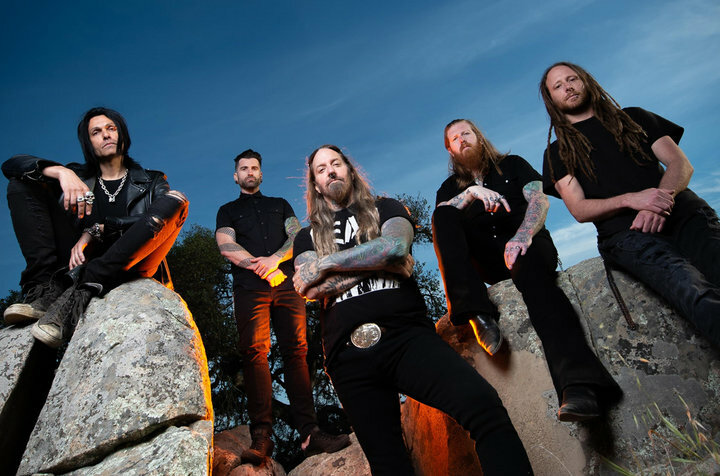 Thanks to widely lauded albums like 2005’s epoch-shredding The Fury Of Our Maker’s Hand, 2011’s ante-raising, ultra-brutal Beast and 2016’s acclaimed career peak Trust No One, the band led by vocalist Dez Fafara (ex-Coal Chamber) are firmly established as one of the most consistent and best loved bands in modern metal. Their almost psychotic dedication to the road is legendary, their mastery of the circle pit beyond dispute: but in 2018, expectations are about to be torched on the mother of all campfires. A monstrous collection of savage and slamming metal interpretations of Dez and his comrades’ favourite outlaw country songs, Outlaws ‘Til The End is both a startling curveball /and/ a ferocious statement of individuality from a band with cojones to spare. From the opening seconds of Devildriver’s face-flaying version of Hank III’s Country Heroes (featuring the man himself on guest vocals) onwards, Outlaws ‘Til The End is simply one of the most vicious records the band have made yet. More importantly, these evocative, irresistible songs have all been wholly rebuilt from the ground up, powered by the classic Devil Driver sound and embellished with Dez’s unmistakable feral roar. Not content with a collaboration with John Cash Jnr, Devil Driver’s eighth studio album also features the iconic voice of Fear, US punk rock legend Lee Ving. Accompanying Dez through blistering, riff-driven reconstructions of Johnny Cash’s The Man Comes Around and David Allan Coe’s darkly moving The Ride, Lee’s presence brings yet more red-blooded passion to this celebration of true grassroots music and the unerring power of heaviness. Still charging forward, proudly against the grain and on the form of their lives, Devil Driver have never made a record like Outlaws ‘Til The End before. But then nor has anyone else. The perfect marriage of badass country grit and neck-wrecking groove metal supremacy, it’s a pistol-packing game-changer delivered by true heavy metal outlaws.